To kick off the New Year, I created this blog post to show you what to look out for and how to find the best goods if you are in the market for gemstone jewelry. Just like diamonds, gemstones are graded based on the 4Cs: Color, Cut, Clarity, and Carat. However, the main difference with gemstones is that color is always key. Color is what sets these goods apart from all other stones. Fundamentally, a gemstone’s color can be broken down into elements of hue, tone, and saturation. The hue describes the colors of the stone, the tone is how deep the colors are seen, and the saturation relates to how intense the color is. High quality gemstones can sometimes be quite expensive. However, the colors they exhibit are often more intense and the cost per carat is less compared to most colored diamonds. 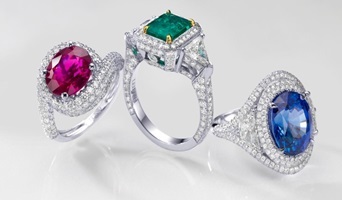 What Are the Colors Available in Gemstones for Fine Jewelry? Gemstones can exist in a variety of colors which are largely determined by its chemical composition and structure. For example, rubies can only be found in various shades of red, aquamarines in various shades of blue, and emeralds in various shades of green. It is interesting to note that some gemstones like sapphires can exhibit completely different hues of colors like blue, pink, and even yellow. Now, gemstones with a single pure color (primary colors like red, blue, and yellow) are most sought after and are highly prized. In reality, the majority of fine gemstones in the market typically include secondary colors such as purple, green, and orange. The color tone is defined based on internationally accepted definitions: very light, light, medium-light, medium, medium-dark, and dark. Gemstones that fall within the medium-light to medium-dark range are generally preferred. The majority of gemstones have traces of black and white tones. If a stone has a high percentage of black mixed in with the primary color, the stone will have a dark tone. On the other hand, a stone that contains white color will be very light. Traces of gray or brown are unwanted because the saturation levels will increase with the presence of these colors. One factor that determines how much unwanted colors show up in a piece of finished jewelry lies in the skill of the designer creating the setting. Jewelry designers who understand how to properly utilize the colors will combine it with other stones or manipulate the setting to focus on the better qualities of the stone. This post was last seen on Beyond4cs.com on 2nd June 2017. For a layman, a gemstone’s clarity is based on the type and/or amount of inclusions within the stone. Unlike diamonds, naturally mined gemstones typically contain more inclusions and that’s perfectly normal. While the presence of these inclusions does not significantly reduce the value of a gemstone, you do need to be aware that it can impact its appearance in a negative manner. There are many famous gemstones around the world, known for their inspiring beauty. 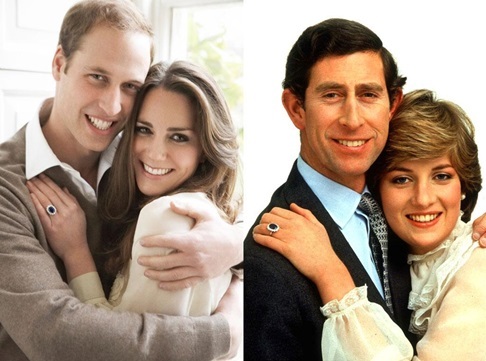 Prince William and wife Catherine at their engagement. Prince Charles and wife Diana with the 18 carat ring. Back in 1981, Princess Diana picked out a gorgeous 18 carat oval sapphire engagement ring surrounded with diamonds. At the time, the price of the ring was a mere $60,000. In fact, it was nicknamed “the commoner’s sapphire” by those who thought that the ring was not royal enough for a Princess. However, especially after belonging to such a remarkable person, the ring eventually became legendary. It was later given to Prince William’s then-fiancée Kate Middleton upon their engagement in 2010. Another remarkable gemstone is the 478-carat sapphire which King Ferdinand of Romania purchased for Queen Marie of Romania, back in 1921. The sapphire was named after the queen, and called ‘Queen Marie of Romania’s Sapphire.’ In 2003, it was sold at Christie’s auction house. It had been the largest sapphire ever sold there and realized nearly $1.5 million. Princess Katharina Henckel Von Donnersmarck’s Emerald and Diamond Tiara totaling 500 carats worth of emeralds. Emeralds are actually seen quite often on some of the hottest celebrities walking the Red Carpets of Hollywood. But they too have been promoted by the most rich and famous throughout our history. Princess Katharina Henckel Von Donnersmarck’s Emerald and Diamond Tiara is one of the most impressive gemstone jewelry ever made. 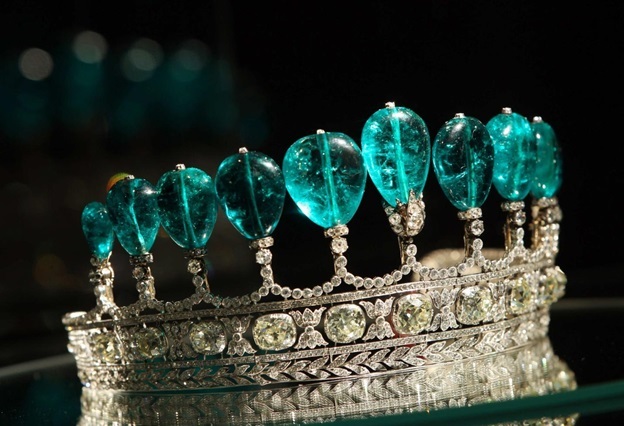 The tiara was composed of eleven magnificent Colombian emerald pear-shaped stones. It was rumored that those eleven stones had belonged to the Empress Eugenie of France beforehand. The tiara was commissioned around 1900 by a German noble prince for his wife, Katharina, and was eventually sold at a Sotheby’s auction in Geneva for $12.7 million. Gemstone jewelry is still at the height of beauty and luxury. At any given event, you can spot a celebrity wearing the most beautiful gemstones jewels. For example, Julianne Moore, Naomi Watts, and Julia Roberts are just some who have displayed stunning emerald and gemstone jewelry. 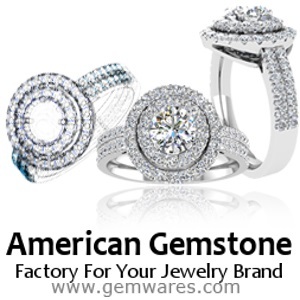 Fine gemstone jewelry is gaining a significant amount of attraction in the world of luxury. Using these stones to express your personality has become the fashionable way to show your inner passion.